Oklahoma Watch will host a public forum on Tuesday, April 11, in Oklahoma City to discuss the state of health care in Oklahoma and possible changes here after the failure of an Obamacare replacement bill in Congress. The “Oklahoma Watch-Out” forum, titled “Where Health Care is Headed,” will feature Julie Cox-Kain, deputy secretary of health and human services and senior deputy commissioner of the Oklahoma State Department of Health; Craig Jones, president of the Oklahoma Hospital Association, and Lou Carmichael, chief executive officer of Variety Care, which serves many low-income patients. The free Q&A forum will be from 6 p.m. to 7 p.m. at Kamp’s 1910 Café, located at 10 N.E. 10th Street in Oklahoma City. Oklahoma Watch Executive Editor David Fritze will moderate the discussion. Those interested in attending are encouraged to register online and come with questions. Seven years after the Affordable Care Act passed, the law remains in place despite Republicans’ efforts to revoke and replace it. But problems with the ACA persist and changes could still occur, affecting both Obamacare and other health plans. Federal rules and state proposals could reduce mandated benefits, and Oklahomans could see even higher premiums and deductibles on coverage plans. The state still faces the challenges of relatively high rates of uninsured residents, doctor shortages, struggling hospitals and poor health outcomes. What are the options going forward? 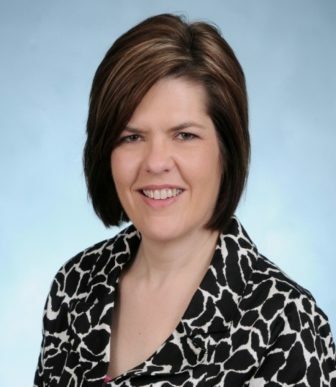 Senior Deputy Commissioner Julie Cox-Kain began her career in public health at the State Department of Health, serving in many positions, including director of procurement and deputy commissioner of prevention and preparedness services. From 2009 to 2015, Cox-Kain served as the chief operating officer, responsible for OSDH operations and other programs that address public health finance systems, access to care, workforce development, policy development, and health systems effectiveness. Cox-Kain was appointed deputy secretary of health and human services in 2014. In this role, she serves as a key advisor on evidence-based strategies to protect and improve public health. She also serves as senior deputy commissioner, overseeing programs focused on strategic health priorities, including wellness and health systems innovation. 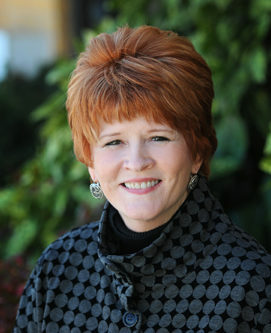 Cox-Kain is a graduate of the National Public Health Leadership Institute and the Management Academy for Public Health. Lou Carmichael was named CEO of Variety Care in 2005. Since then, the organization has grown in the number of services offered and increased capacity by 850 percent. Variety Care served 104,000 people in 26 counties with 250,000 face-to-face and group encounters in 2016. Variety Care is the largest community health center in Oklahoma and among the largest primary care practices in the region, providing medical, dental, behavioral health, optometry, clinical pharmacy, nutrition and social services to children and families. Carmichael led major capital projects in 2012, 2014 and 2016 totaling $33 million and funded by federal grants, the New Markets Tax Credit program, private philanthropy and agency reserves. Before joining Variety Care, Carmichael worked with Union Carbide, Ralston Purina and Lab Corp/Dianon with responsibilities in sales, marketing, human resources, compliance, distribution and quality. She graduated from the University of North Texas and has completed executive courses at Kellogg University of Michigan and the Harvard School of Public Health. Carmichael has served in community volunteer roles in Denton, Dallas, St. Louis and Oklahoma City. 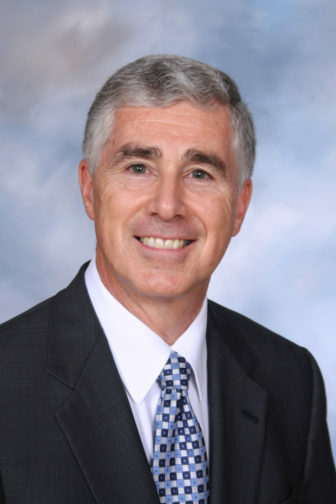 Craig Jones has served as president of the Oklahoma Hospital Association since November 1998. The association represents and serves the interests of 137 hospitals across Oklahoma. Previously, Jones spent 18 years working at Norman Regional Hospital as associate administrator, president and CEO. He was also employed by Hillcrest Medical Center in Tulsa, where he completed his graduate work in health care administration and held various administrative positions. Jones has served on and chaired numerous state, regional and national health care governing and advisory organizations, including the American Hospital Association, The Joint Commission, the Oklahoma State Chamber and the American College of Health Care Executives.